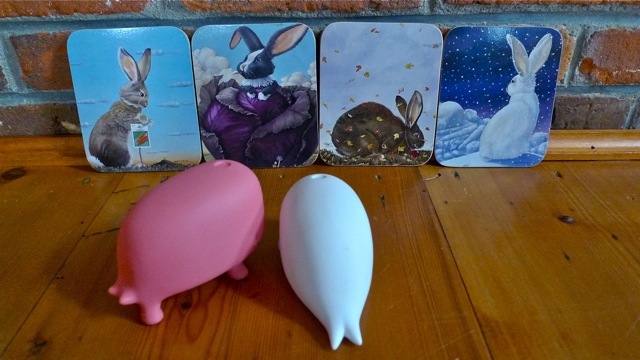 During their long swim north, the munko whales snuck into a cozy home in East Barnard, Vermont, where they found these whimsical labbit paintings. Each one depicts a labbit in a different season, from spring to winter. Noticeably missing was Vermont's fifth season - mud season. The whales thought Pipkin and the other labbits would appreciate this photo.